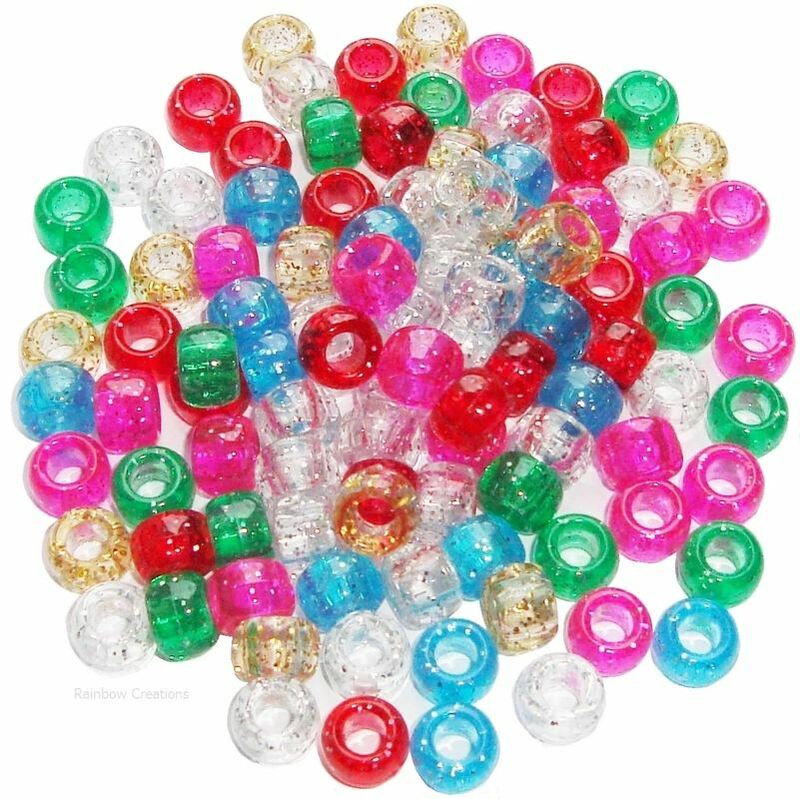 Glitter pony beads in assorted colours. 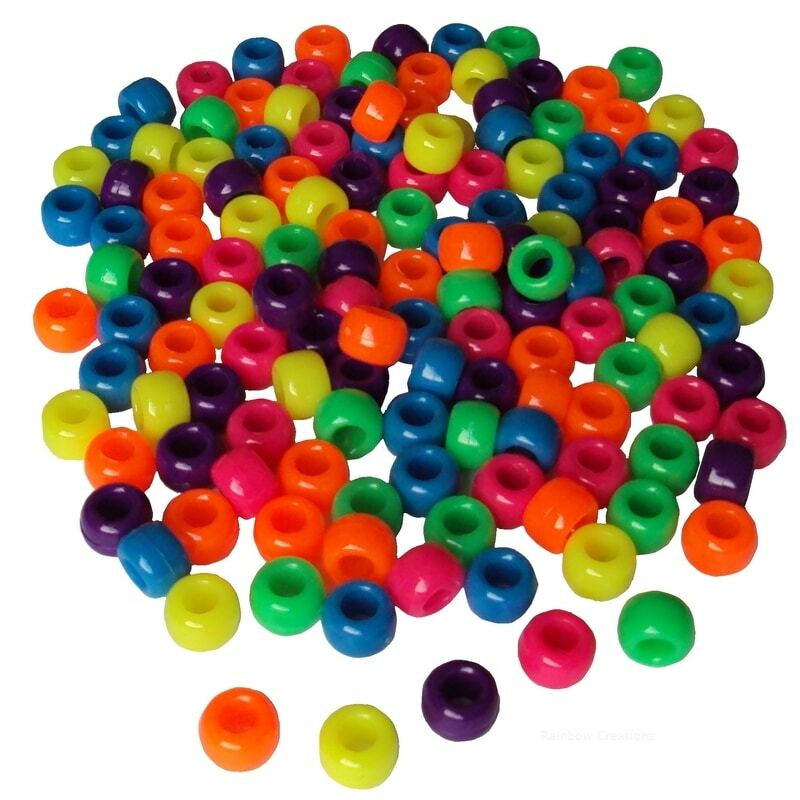 These barrel shaped pony beads are translucent with tiny glitter flecks for a sparkly effect. 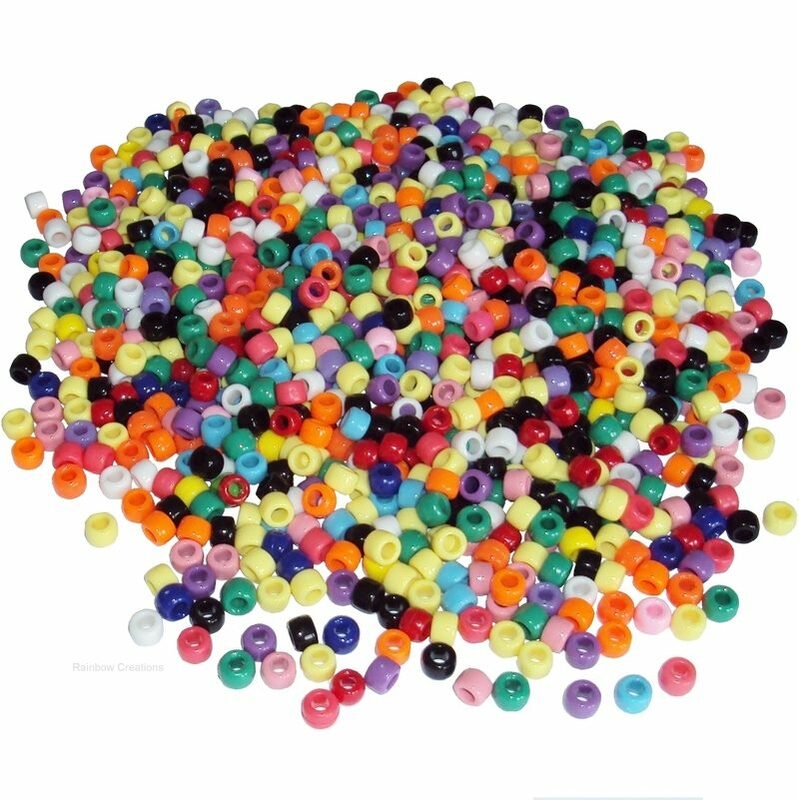 They are made from plastic and are suitable for children's jewellery making, threading and hair beads. 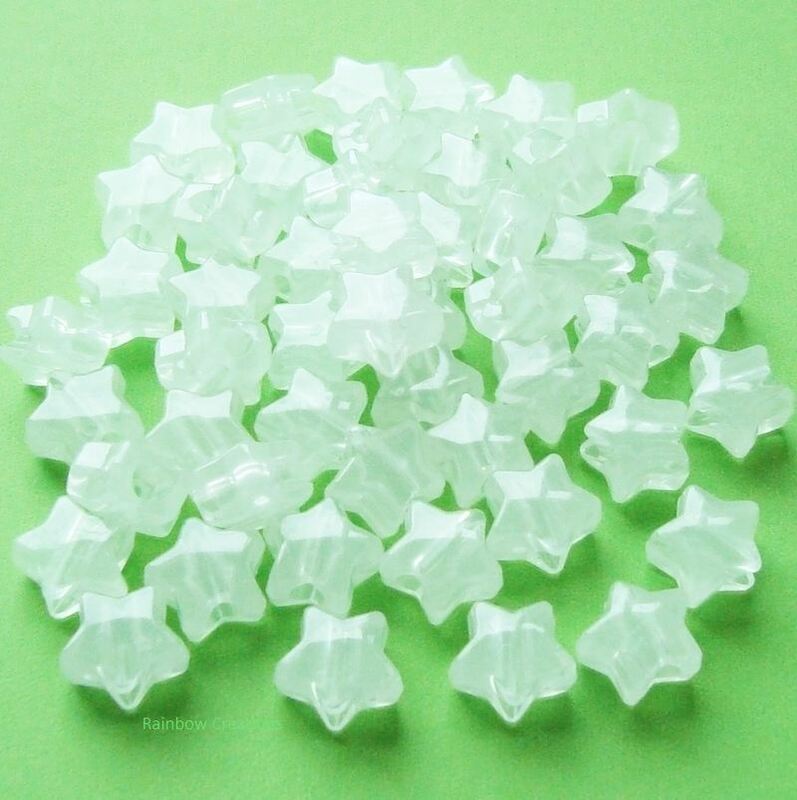 Size: 6 x 8 mm, 3 mm threading hole.